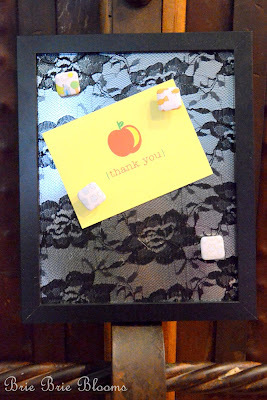 Last year I made an easy lace magnetic frame for Sweet Rose Studio’s Handmade Holiday series. 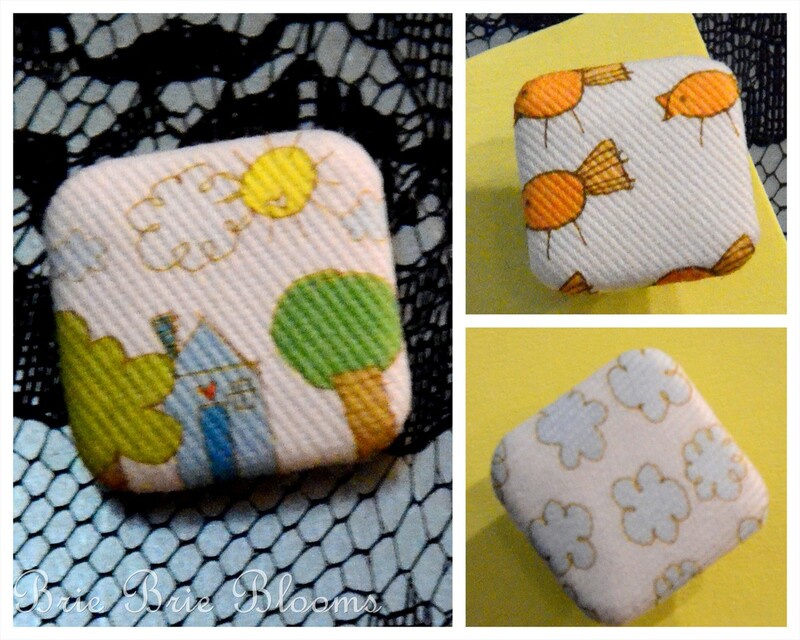 I love this style of frame and enjoy making them as gifts. 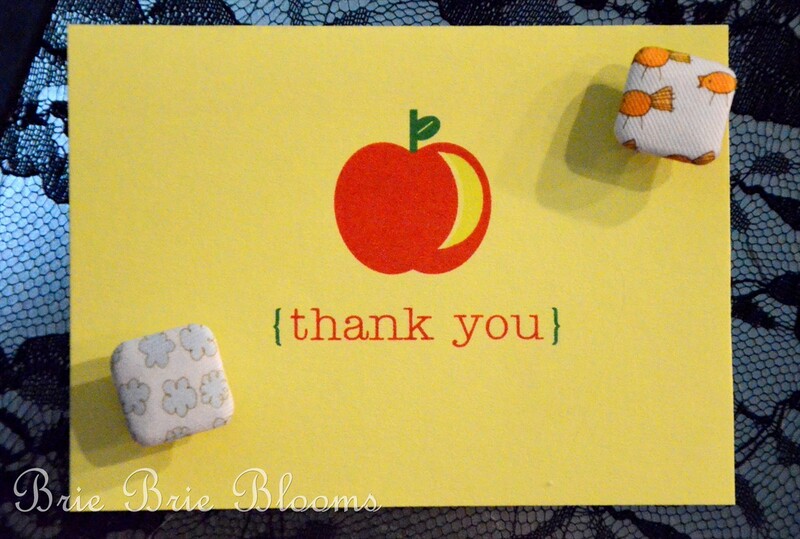 Add a teacher’s thank you card from the Tom Kat Studio and you have a perfect gift for teacher appreciation week! I had some cute brad tops that were perfect for magnets. I wrote a little note to my daughter’s preschool teacher and used the magnets to attach it to the frame. This morning I told my daughter to hand it to her teacher and say, “Happy teacher appreciation week.” She’s only three and that was a big unfamiliar phrase to her. She looked at me and asked, “Can I just say happy birthday instead?” We negotiated and I convinced her to tell her teacher she is great as she handed over the pretty frame.